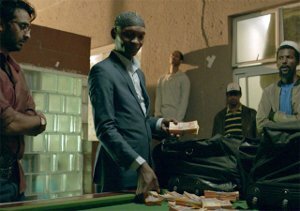 A computer whizz and prodigal son, doing international aid work, returns to his home in Mayfair, Johannesburg, to find that his father is in over his head with some ruthless Somalis. The son is reluctant to become involved, but when his girlfriend and baby sister are kidnapped due to a failed pay-off, he has to make a choice: does his remain true to his family, or his religion? Action, Crime, Drama, South African. Language Strong, frequent use of crude language. Violence Strong impact, strongly implied violence that includes gun violence and abduction, frequent. Prejudice Low, very infrequent verbal references that were disapproved of. 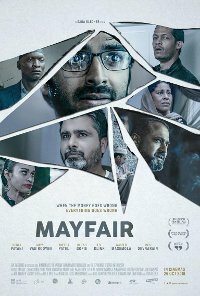 Comments This film contains complex and mature themes that interrogate issues of family, money laundering, humanitarian aid, greed or the love of money, betrayal, murder, abduction and crime, presented within a drama context set in the predominantly Muslin suburb of Mayfair, Johannesburg. The film is laced with a sense of threat and menace, and also within realistic and dark settings that intensify the drama context and may be upsetting, confusing, distressing or inappropriate for viewers below the age of 16. Viewers 16 and older are mature enough to appreciate themes as they have been presented in the film as well as the entertainment value, and not be morally harmed.